The domestic pig shares many genetic, anatomical and physiological similarities to humans and is thus considered to be a suitable organ donor for xenotransplantation. However, prior to clinical application of porcine xenografts, three major hurdles have to be overcome: (1) various immunological rejection responses, (2) physiological incompatibilities between the porcine organ and the human recipient and (3) the risk of transmitting zoonotic pathogens from pig to humans. With the introduction of genetically engineered pigs expressing high levels of human complement regulatory proteins or lacking expression of α-Gal epitopes, the HAR can be consistently overcome. However, none of the transgenic porcine organs available to date was fully protected against the binding of anti-non-Gal xenoreactive natural antibodies. The present view is that long-term survival of xenografts after transplantation into primates requires additional modifications of the porcine genome and a specifically tailored immunosuppression regimen compliant with current clinical standards. This requires the production and characterization of multi-transgenic pigs to control HAR, AVR and DXR. 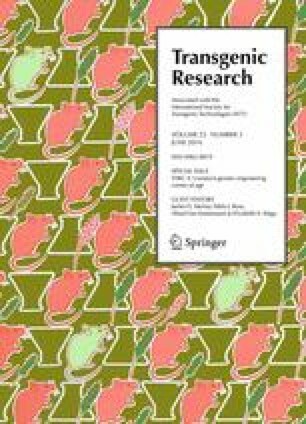 The recent emergence of new sophisticated molecular tools such as Zinc-Finger nucleases, Transcription-activator like endonucleases, and the CRISPR/Cas9 system has significantly increased efficiency and precision of the production of genetically modified pigs for xenotransplantation. Several candidate genes, incl. hTM, hHO-1, hA20, CTLA4Ig, have been explored in their ability to improve long-term survival of porcine xenografts after transplantation into non-human primates. This review provides an update on the current status in the production of multi-transgenic pigs for xenotransplantation which could bring porcine xenografts closer to clinical application. This work was funded by the Deutsche Forschungsgemeinschaft (DFG) TRR 127 and the Deutsche Forschungsgemeinschaft (DFG) Cluster of Excellence “REBIRTH”.